As telecom services become more diversified, operators who rely on traditional proprietary network appliances require strenuous effort in developing new services. The use of software-defined networking (SDN), network function virtualization (NFV) along with virtual customer premises equipment (vCPE) will grow in significance and set to open new territory for the industry. In terms of processor core count, vCPE basically requires four processor cores. The first core is used to run cloud operating systems such as Wind River, while the second core is dedicated for network switching (OVS). The remaining two cores are then used to run VNF virtual machines. 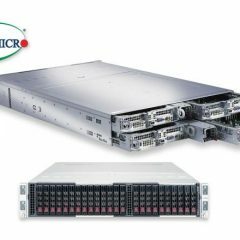 For applications that require additional VNFs or network switching performance (OVS-DPDK), a higher processor core count is required. 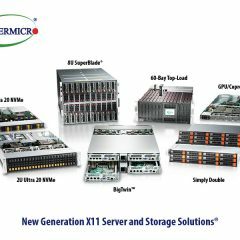 Aimed to address high variation in the demands of enterprise clients, five NEXCOM on-premise vCPE hardware platforms are available with a versatile combination of multi-core architecture, virtualization technology, and bandwidth capacities. 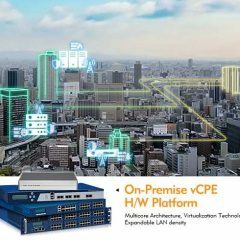 With NEXCOM on-premise vCPE hardware platforms, telecom carriers can weave flexibility and agility into service delivery and manage the increasing complexity of business environments with a tiered service strategy. To empower telecom carriers to nimbly manage services on on-premise vCPEs, NEXCMO on-premise vCPE hardware platforms can run various networking applications simultaneously in virtual environments. 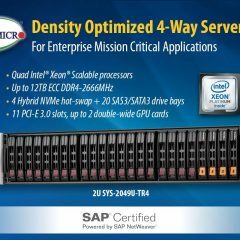 Coming in a variety of configurations including a 1-to-44 core count and memory size from 8GB to 512GB, NEXCOM on-premise vCPE hardware platforms ensure smooth execution of networking services across virtual machines (VMs) and are equipped with Intel® Virtualization Technology (Intel® VT), Intel® AES New Instructions (Intel® AES-NI) to boost virtualization and encryption performance without computing penalty. 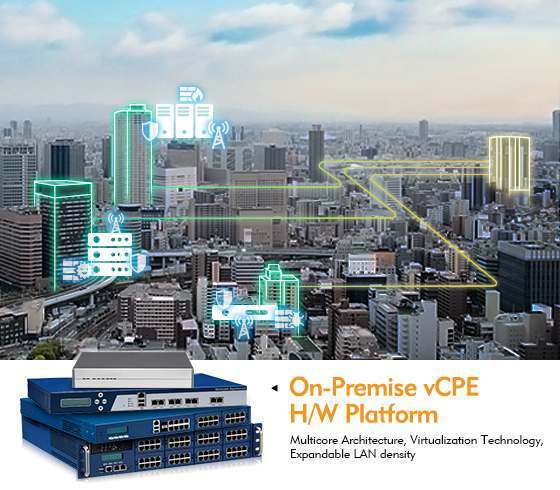 Along with high-speed 10 Gigabit Ethernet connection and expandable bandwidth, NEXCOM on-premise vCPE hardware platforms allow telecom carriers to easily allocate hardware resources for service upgrade, expansion, and termination. 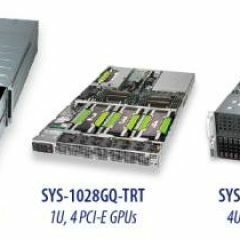 Based on Intel® Xeon® Processor E5-2600 v4 Family, the NSA 7135 can provide up to 44 computing cores with a dual-processor configuration and support 512GB of DDR4 ECC memory and eight LAN modules for a combined bandwidth of 320 Gbps. Incorporating Intel® VT and Intel® AES-NI, the NSA 7135 can accelerate virtualization and encryption workloads to run a highly mixed set of networking services in parallel. NEXCOM NSA 5160 featuring Intel® Xeon® processor D-1500 product family can be configured with up to 16 computing cores and 128GB of DDR4 ECC memory. In addition to onboard dual 10 GbE SFP+ and eight 1 GbE ports, the NSA 5160 can provide a combined bandwidth of 228 Gbps through LAN module expansion. Leveraging Intel® VT, the NSA 5160 can efficiently run VMs with I/O virtualization and support remote management and monitoring with the IMPI 2.0 option. NEXCOM NSA 1150 is based on Intel® Atom™ processor C2000 product family and comes in quad- and dual-core versions—both supporting a maximum of 16GB of DDR3-1333 ECC memory, 8 Gbps configuration, Intel® VT, and Intel® AES-NI. 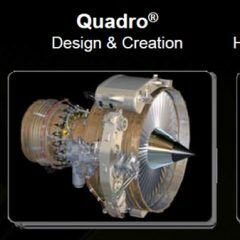 Also the NSA 1150 can accelerate compressed and encrypted network communications using Intel® QuickAssist Technology (Intel® QA). Based on Intel® Atom™ processor C2358, the DNA 1150 has two computing cores and supports 16GB of DDR3-1333 memory and a 6 Gbps bandwidth. 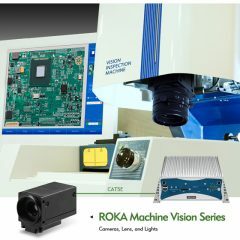 The DNA 1150 can equip wireless network connectivity through expansion and is outfitted with Intel® VT and Intel® QA. DNA 125B powered by Intel® Atom™ processor E3815 has one computing core and supports 8GB of DDR3-1066 memory. The DNA 125B is also equipped with Intel® VT and Intel® AES-NI for hardware-accelerated virtualization and encryption.